Welcome to our Private Detective Durham Post. Private Detective Durham is a trading name for Lateo Surveillance Ltd. We are located at Portland House, Belmont Business Park, Durham just off the A690. Unlike virtually all our online competition we are a real local business, situated in Durham and importantly we know the area in detail. We serve the whole of County Durham including Bishop Auckland, Chester le Street, Consett, Darlington, Durham, Hartlepool, Gateshead, Lanchester, Middleton in Teesdale, Newcastle, Stanley, Stockton-on-Tees, Sunderland, and Washington. Our private detectives are qualified and experienced investigators. We use professional grade equipment to give you the best possible product to an evidential grade, meaning all our evidence can be presented in court. Our investigations are carried out and follow a strict code of ethical conduct. We have carried many private investigations including a wide range of matrimonial investigation cases, personal injury surveillance, employee and fraud investigations to tracing and background checks. Our investigations are carried out with the utmost discretion, all our private detectives have signed comprehensive non-disclosure agreements for your peace of mind. We will present you with a signed non-disclosure agreement before we carry out any investigation and upon completion and final payment, you will receive a destruction certificate to prove we will not ‘hold’ any information in accordance with our responsibilities in conjunction with the data protection act 1998. 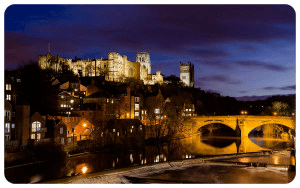 Two of our senior private detectives and operation managers live just outside Durham city center so know the area like the back of their hands. This local knowledge really does give us the edge during an investigation. Many investigations have been conducted in Durham itself and have involved discreetly following many people through the streets, pubs, restaurants and nightclubs obtaining covert photography and video footage for our clients. In a recent case, our private detectives were able to follow an individual starting at Newcastle who was suspected of committing adultery for a period of 10 hours finishing off in Durham after visiting virtually every pub in the city center. They were able to obtain high-quality photographs and video of the individual meeting the person who our client had suspected. We have fitted covert vehicle trackers across County Durham and the North East, our private detectives are experts in this field. We carry out regular training and test our investigators to ensure they remain the best in the country. Our standing operating procedures are tried and tested over many years and produce results time and time again. We are offering 1hr free surveillance to anyone that has a surveillance task in County Durham. All you have to do is quote Lateo FREE Surveillance POST 02 to us in your correspondence so we know you have read Private Detective Durham and you will get 1hr completely FREE when you take out our 5hr package, if you then select another 5hr package we will again offer you an hour FREE on an ongoing basis for the duration of your investigation with each 5 hour package that is taken. Lateo Surveillance Ltd is a fully compliant Data Controller and registered with the data protection act 1998. The principal investigator of Lateo Surveillance Ltd is a FULL member of The Association of British Investigators the only private investigation body endorsed by the Law Society of England and Wales. We are fully insured and operate to an ethical code of conduct. Our private and commercial investigations are carried out with diligence and professionalism. Unlike the vast majority of current online private detective / investigators, we will NOT subcontract your investigation via a NETWORK of so called operatives. This practice is common and prone to serious data breaches with no control systems in place to safeguard your personal data. Want to see what we have been up to? Take a look at out Private Investigator Diary Week One post. 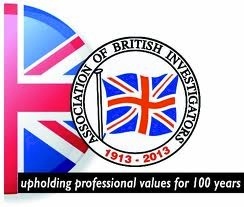 The principal investigator of Lateo Surveillance Ltd is a FULL member of The Association of British Investigators the only private investigation body endorsed by the Law Society of England and Wales. Thanks for reading our Private Detective Durham post.